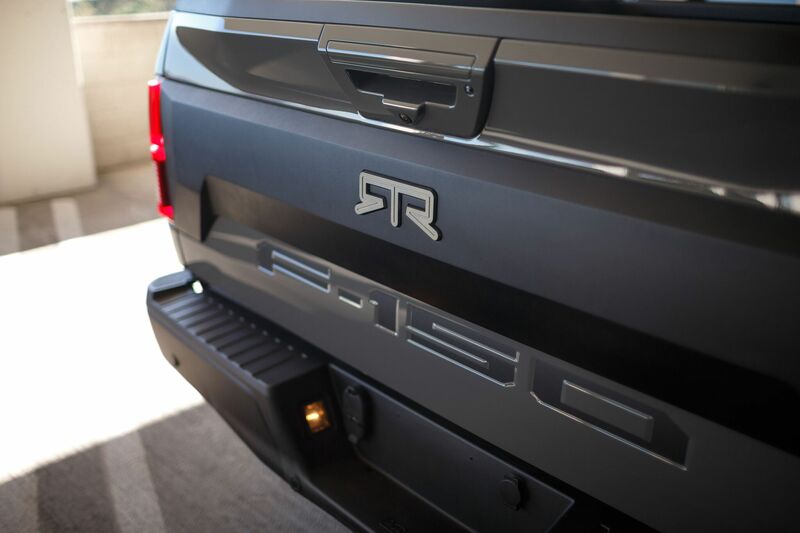 America’s favorite pickup truck got a serious makeover by the folks at RTR Vehicles. 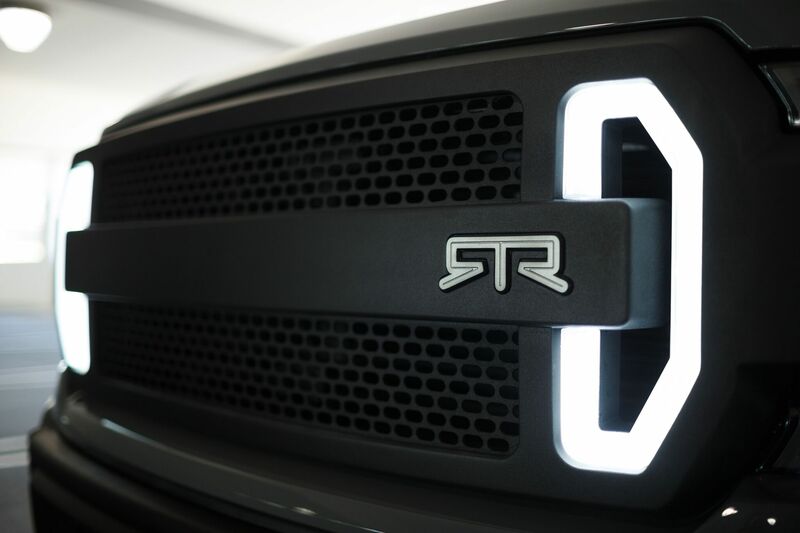 Last week we reported on the 700-plus horsepower Mustang RTR customized by Vaughn Gittin Jr. set to debut at SEMA and now we know it will be accompanied by a Ford F-150 RTR muscle truck concept. 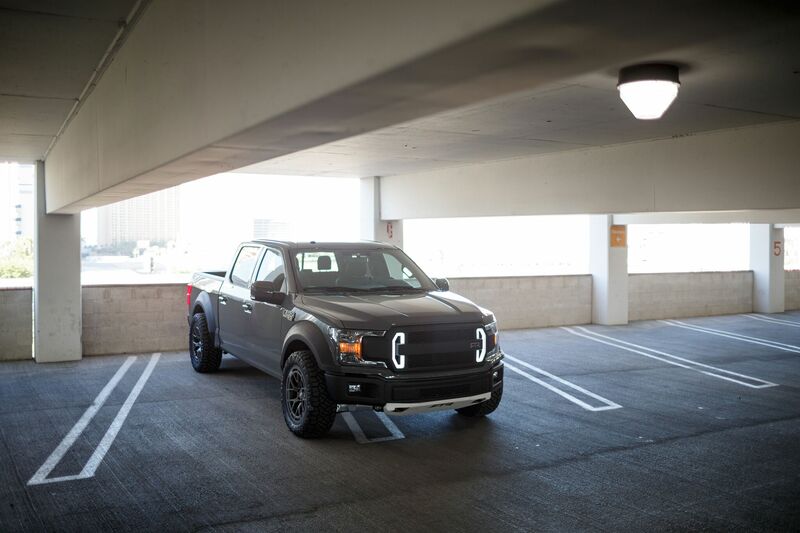 This 2018 Ford F-150 RTR concept looks like the strong, silent type. The exterior isn’t too flashy but it certainly makes a statement. 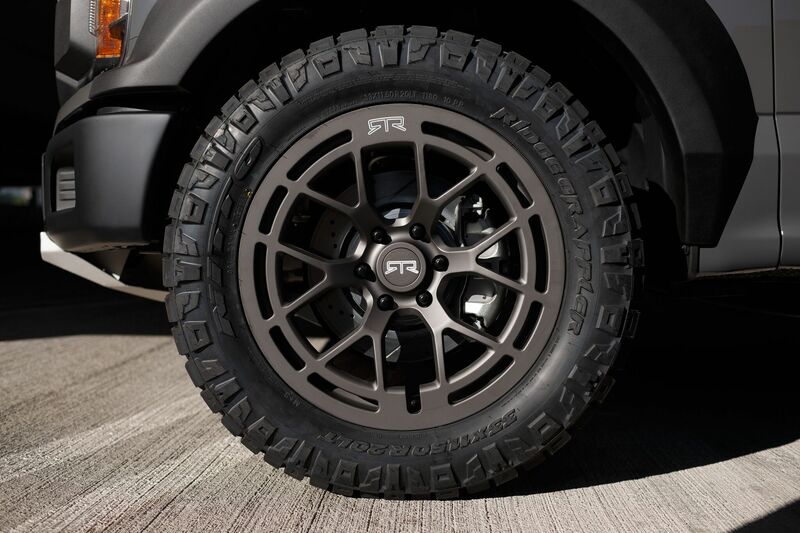 Exterior mods include a black and dark gray paint job, RTR’s signature grille and lighting package, fender flares, RTR badging, and forged RTR Tech 6 off-road wheels wrapped in 33-inch Nitto Ridge Grappler tires. 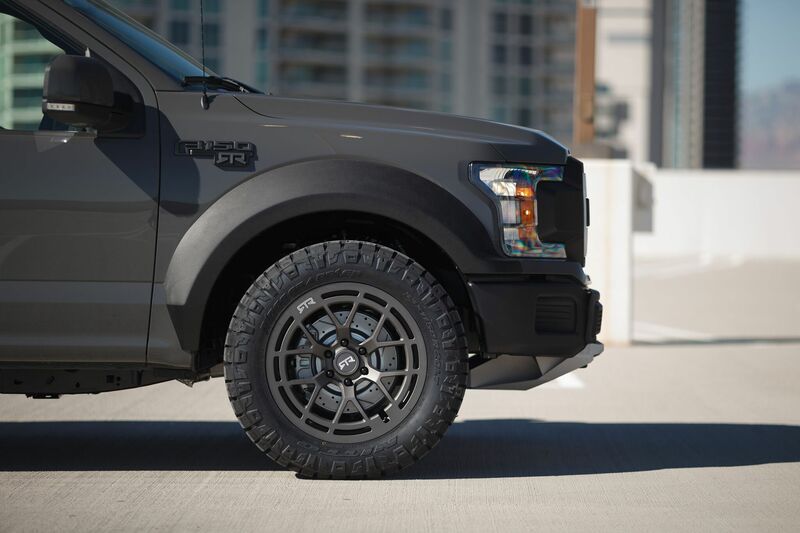 It has a custom RTR interior by automotive leather interior specialist Katzkin and a dash plaque signed by Vaughn Gittin Jr. RTR did a great job making this F-150 stand out without being too in-your-face. 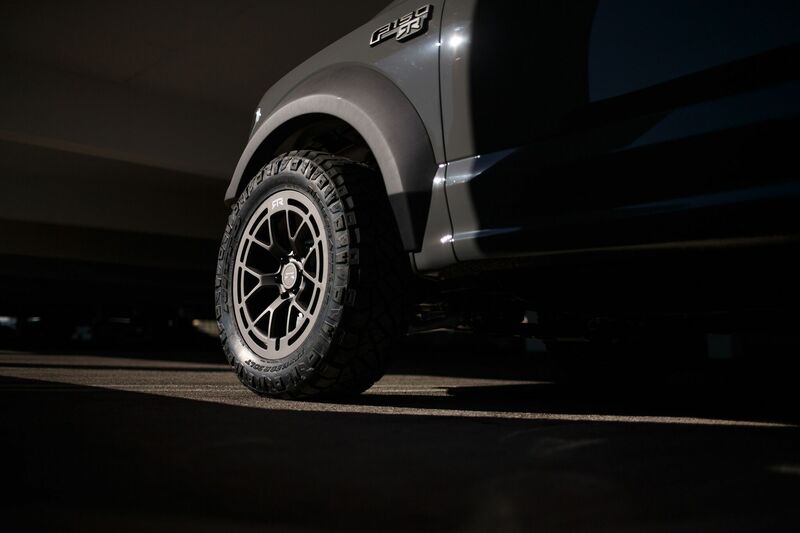 The aesthetic is just the beginning of the modifications made on the Ford F-150 RTR muscle truck concept. 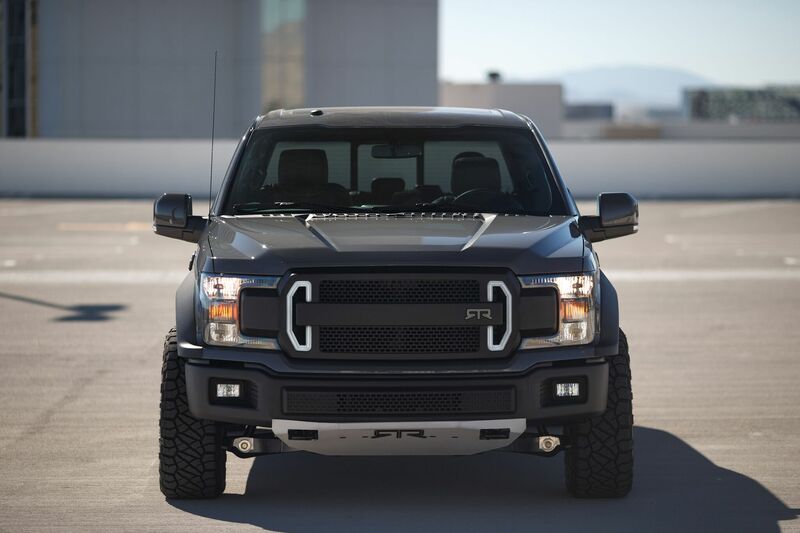 This pickup is packing over 600 hp courtesy of a modified 5.0-liter V-8 under the hood. 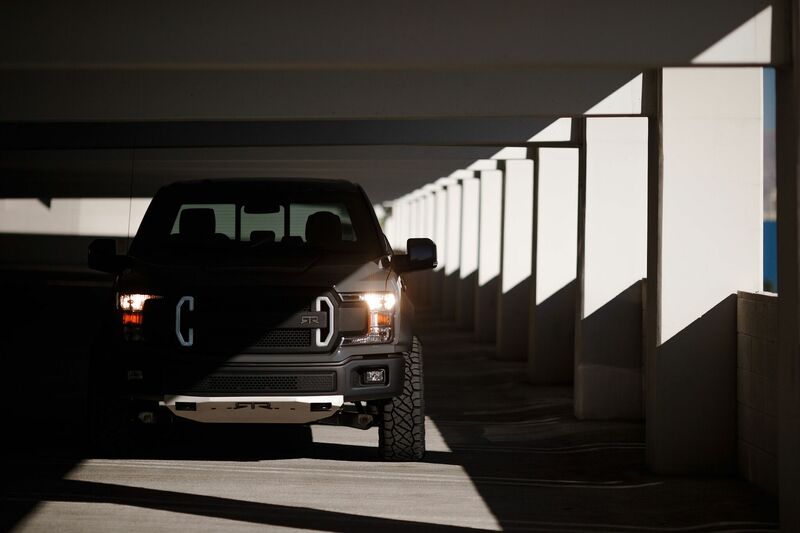 Rather than being purpose built for one thing like off-roading or track performance, this muscle truck claims to do a little of everything. 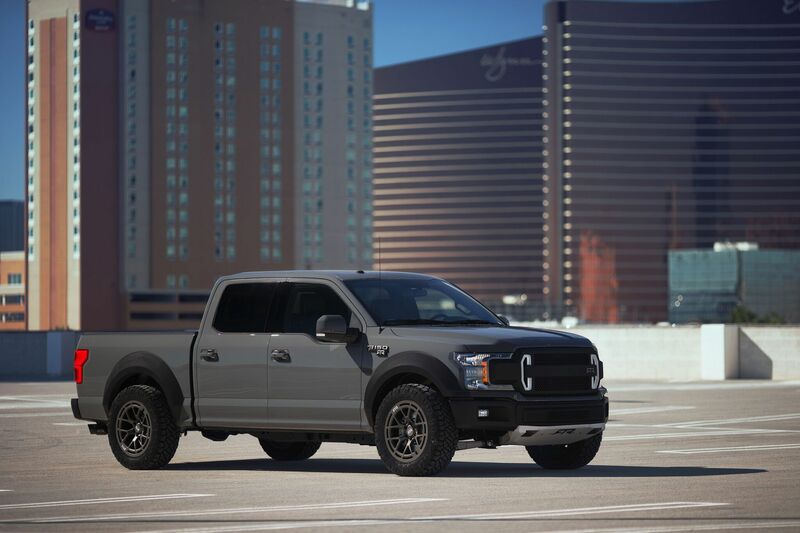 Look for the Ford F-150 RTR muscle truck concept alongside the Mustang RTR at SEMA.